Targeting well being through linguistic and cultural development. PFT started in 2014. My idea was to share my passions: theatre and language. I was dreaming to offer a space where people could meet people with different stories and backgrounds but with the same desire: talking French. I wanted also to give a safe place to reconnect to the amazing power of imagination. I was hoping to live with you this insane journey of creation ;-) My hope has been heard. Every year, more and more of you are taking part of this wonderful adventure. Thank you for that. 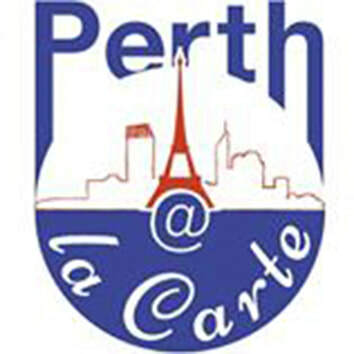 PFT is open to everyone who wants to enjoy and learn about French culture and drama. Both Francophones and French learners will discover many technics to improve confidence, memory and a variety of skills useful for every day life. Drama is a complete artistic activity where mind and body work together allowing an encounter between you and the language to create the intimacy necessary for good communication... I am passionate about creating high quality performances and bringing professionalism to the wonderful world of amateur theatre! Over all I love creating events which inspire us and touch the hearts. I am aware it can be hard for Francophone children and adults to stay connected to their language and culture. I know, through experience that learning a language is demanding, particularly when you don’t have the opportunity to practice in a real environment. That’s why we established PFT. This group involved 17 people from 19 to mature age, with all levels of French - from beginners to native speakers. Interested? Need to know more? Feel free to ask questions! Merci Stella pour ce spectacle tout en émotion et en poésie. Tu nous as offert une Antigone accessible à tous grâce à ton adaptation vivante et tragiquement actuelle. Bravo à Matilda, Stuart, Sabine, Mary, Aurelien, Jules, Ea, Rowena, Isabelle, Agnes, John, Gary et Don pour votre créativité et votre sincérité.